What You'll Need: scriptures, GAK 417/GAB 95: Elijah Restores the Power to Seal Families for Eternity, GAK 504/GAB 121: Temple Baptismal Font, 3D Temple Baptismal Font print out, scissors, coloring tools, glue stick. You can also choose to download the pdf of LESSON 03 for easy printing. If you download, please leave a comment here on what you like about this lesson. Note: GAK vs GAB pictures explained here. Scripture: Mal 4:6 - And he shall turn the heart of the fathers to the children, and the heart of the children to their fathers. Opening Song: I Love to See the Temple (PCS #95) - Alternate verse found here. An ancient Prophet named Malachi taught that the hearts of the children would be turned to their fathers. When he says 'fathers' he means our ancestors. 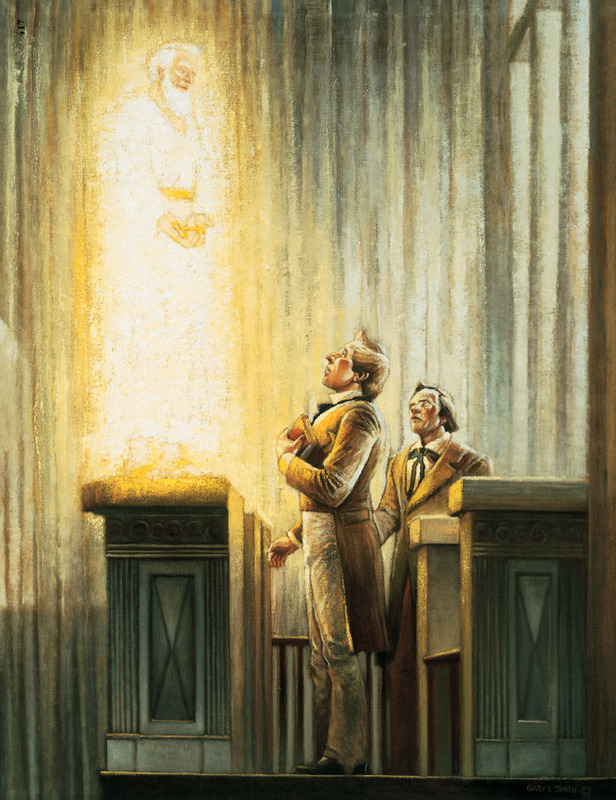 An angel appeared to Joseph Smith and Oliver Cowdry and gave them the power to seal families in the Temple. Having that power to seal restored means that in our day, Malachi's words are coming true. If our ancestor's were not members of the church after they die they will have a chance to hear about the Gospel. If they believe it and want to live with Heavenly Father again they need to be baptized and participate in other ordinances. But how can they be baptized when they are already dead? We can find out information about our ancestors who have passed away and give that information to church headquarters. Then we can perform temple ordinances for our ancestors. 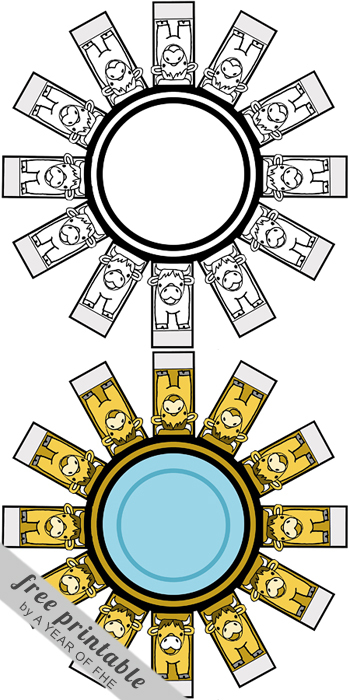 (show GAK 504/GAB 121: Temple Baptismal Font - note that the pictures are slightly different in the different kits). When you are twelve years old you can go to the Temple and be baptized and confirmed for your ancestors who have not already had that special work done for them. The baptism fonts in Temples are extra special. They always stand on the back of 12 oxen statues. 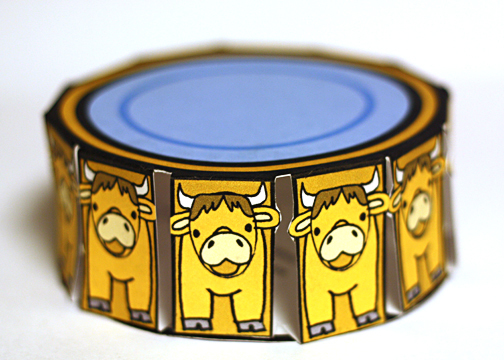 The 12 oxen represent all of the people of the earth that live all over the world and are waiting to hear the gospel. It is a wonderful gift to give to them and it fills our hearts with joy and the Spirit when we go to the Temple and do those ordinances. When you are older and you go through the Temple you can do the other ordinances for your ancestors as well, including sealing families together forever. When we look for ancestors’ names and do their temple work, we serve them. Sometimes the Spirit tells us that our ancestors know what we have done for them and that they are grateful. Russel M. Nelson said, "When our hearts turn to our ancestors, something changes inside us. We feel part of something greater than ourselves. Our [desire] for family connections are fulfilled when we are linked to our ancestors through sacred ordinances of the temple." Bear your testimony about the feelings you have had while performing Temple work for others (this may include doing baptisms for the dead as a youth or other ordinances later or searching records and submitting names). Share the feeling you have when you enter the Temple and why it is important to you to know that families can be together forever. CLICK HERE to download the pdf of this project. Thank you so much! Printing them off now! I sure appreciate all the effort that goes into these lessons! Thank you! This is perfect for our FHE this week. My 12 year old daughter will go to the temple Friday for the first time. We are so grateful for all your hardwork and effort that you put into the FHE lessons. We loved last weeks and are looking forward to having tomorrows lesson, thank you!! Thank you so much for all your hard work. I downloaded your last lesson plan and we loved it. This is such a huge help to those of us who felt overwhelmed and unsure as to how to plan out FHE and make it more effective. Your kindness in sharing your lesson plans and handouts is sure helping our family nights. Thanks again. I just discovered your site through Pinterest and I am so excited! Thank you for all the hard work that goes into this. We will be starting tonight with this lesson. Our family really enjoyed last weeks lesson plan. I am coming back for more! I love what you do. Thank you so much!! thank you so much for the effort you put into these lesson...sure makes it easier for me. I love them! This will be our second week of following your lessons. Thanks to all your hard work, I actually feel like FHE is something I can do now! THANK YOU so much! My daughter is two and loves fhe thanks to your simple, yet insightful lesson plans. Thank you so much for putting so much effort into planning these each week. Whenever there is a lesson with a coloring page, we'll tape it onto the wall by her bed and talk about what she leaned each night before bedtime prayers. Can't thank you enough!!! Thank you! These lessons are perfect for us this month, next week we get to go to the temple and do my grandma's temple work and seal her to her husband! I am very grateful for your hard work. It makes FHE so enjoyable. Thank you! Thank you so much!!!! Just printed! Just downloaded this. I found your site through pinterest. You are very talented. Thank you so much for sharing. Thank you sooooo much! I love your blog!! Thank you!! 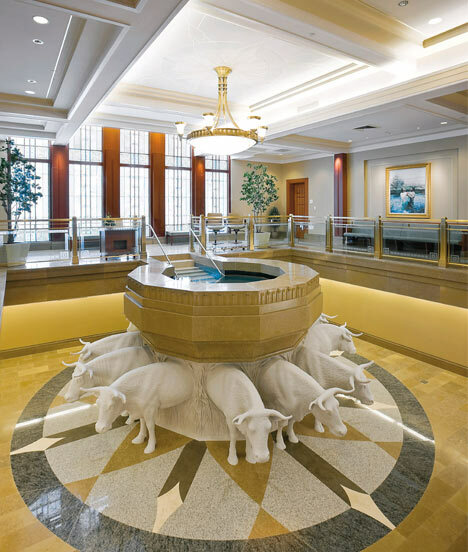 I love the oxen/baptismal font craft, I bet my kids will too! I just found your website and used this lesson for FHE this week. Usually it's a madhouse with 3 kids under 5, but everything ran so smoothly because I was so prepared (thanks to you!). We're a little behind, so this is our FHE lesson tonight! I'm quite glad as we had a big FH presentation in Sunday school yesterday which gave me lots of extra ideas and was great for my convert husband. I just discovered your blog thru pinterest and wanted to say THANK YOU for all the hard work on these lessons. I will be visiting often! thank you so much! 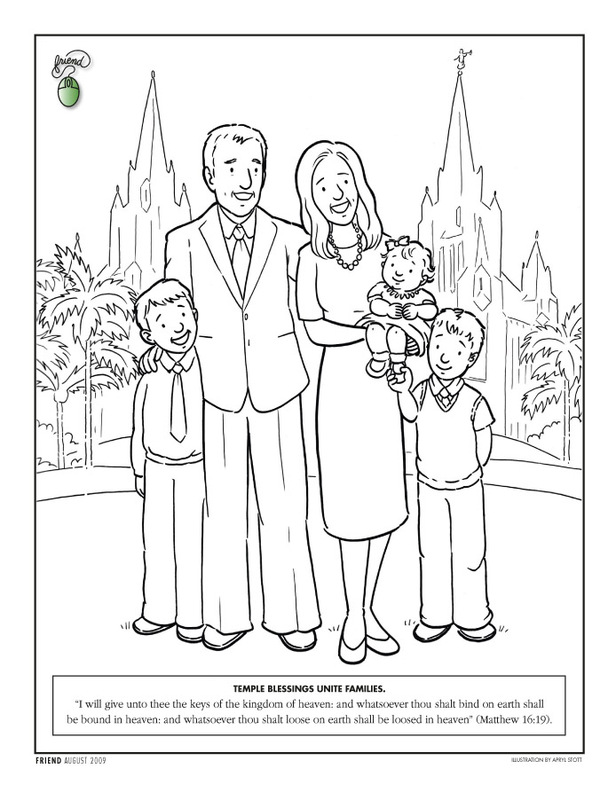 we're going to the ft. lauderdale temple open house on Saturday and this is a great way to help prepare my boys! We are going through your lessons week by week. This month is perfect as I have been feeling a tremendous prompting to talk about family history with my kids in depth. Thank you for giving us a springboard. My son is turning 12 next month so this lesson was particularly exciting to discuss. EXCELLENT WORK!! Thanks a million! I cant even begin to say how helpful these have been! Thank you so much!